Am studiat aikido cu mai multi sensei, insa maestrul Masatake Fujita, 8 dan aikido aikikai, a fost mentorul care a definit modul in care eu inteleg aikido azi, atat din punct de vedere filozofic cat si ca practica in dojo ! Am fost timp de aprox. 8 ani la multe seminarii conduse de Sensei Masatake Fujita si am avut norocul sa particip si la cateva lectii teoretice. Odata chiar am avut privilegiul de a discuta fata in fata despre subiecte care ma framantau. Toate cele 3 grade yudansha, de la shodan pana la gradul actual - sandan, mi-au fost acordate de dumnealui. Pentru cei care vor sa cunoasca mai multe despre aceasta personalitate remarcabila din istoria Aikido-ului am extras de pe Aikido Journal un interviu cu maestrul Masatake Fujita realizat de Stanley Pranin in martie 2000. Masatake Fujita, 8th dan Aikikai shihan, was born April 21, 1937 in Shinkyo (present-day Changchun) in Japanese-occupied Manchuria. He repatriated to Sapporo, Hokkaido in 1948. Fujita enrolled in Takushoku University in 1956. He entered Aikikai Hombu Dojo in November of the same year. After graduation, Fujita was employed for seven years at the Shin Seikatsu Undo Kyokai (New Lifestyles & Athletics Association). In 1967, he joined the office staff of the Aikikai. Aikido 8th dan. AJ: I understand your father learned aikido from Ueshiba Sensei in Manchuria. Masatake Fujita : Yes, he was originally a judo man and he continued to practice judo during his work posting in Manchuria. There was a group called the Manchuria Budo Society (Manshu Budokai) whose members got together to practice not only judo, but kendo, sumo and other arts as well. My father was one of those involved in running this group and so he knew quite a few of the people practicing other martial arts. It was through that connection that he learned aikido when Morihei Ueshiba was invited to Manchuria. He trained with people like Kenji Tomiki (1900-1979), who was a professor at Manchuria’s Kenkoku University, and sumo wrestler Saburo Wakuta (1903-1989, also known as Tenryu, a well-known wrestler who began learning aikido after being impressed by the techniques of Morihei Ueshiba). In those days, aikido practitioners tended to be people with considerable experience in other martial arts, and often a personal introduction was required as well. 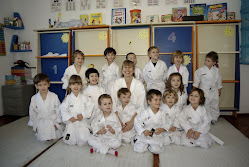 Most of them were already quite strong in judo or kendo or whatever art they had studied. AJ: What kind of work was your father doing in Manchuria? Masatake Fujita : He was with the Concordia Society (Kyowakai), an organization established to do a kind of “behind-the-scenes” government work. The [Guandong] army was very strong in Manchuria. The government was comprised of Chinese at the very top, in the ministerial and other high-ranking positions, and Japanese in the positions below those. Within this arrangement, the government, the army, and the Concordia Society served to balance one another. For example, if the army detained a Chinese national for some reason, my father would step in to offer the person assistance and support. In other words, these three acted as a triangular set of counterbalances to one another, and within that my father’s position gave him at least enough authority, for example, to be able to lodge complaints against the army. *Kyowakai, formally the Manchu Teikoku Kyowakai (Manchuria Imperial Concordia Society), a political organization avoiding the character of a political party and avoiding the aim of securing political power, functioning as a background organization complementing the foreground activities of the government, striving toward the achievement of the ideal of “nation building” (kenkoku) and the creation of a more moral world. AJ: I understand that you yourself were born in Manchuria. Masatake Fujita : Yes, in 1937 in a place called Shinkyo that today is the city of Changchun. My father was from Sapporo in Hokkaido and went directly to Manchuria from there. He stayed there for a total of ten years before finally returning to Japan to be repatriated. It was a difficult situation there in those days; if even one mistake had been made I easily might have wound up left behind as an orphan. I can speak Chinese now, but that’s only because I studied it in university later; as a boy in Manchuria I went to a school where only Japanese was spoken. Unfortunately, even though I did eventually learn Chinese, poor relations between China and Japan prevented me from putting it to use in my career. Still, I’m pretty confident in my Chinese, and in fact just the other day in a Chinese restaurant in Los Angeles I was asked by the woman running it if I was Chinese or Japanese! My English is another story, though; my Chinese comes out okay, but the English always seems to be holding itself back and trying to hide! AJ: Did you ever go back after the war to visit Shinkyo where you were born? Masatake Fujita : No, I’ve never had a chance to go back there. I’d like to but I just don’t have the time. Since the war I’ve only been to China once, actually, as part of a group representing Japanese martial arts on a tour organized by the Nippon Budokan. We went to Beijing, Xi’an, and Shanghai, but the tour didn’t give us a chance to swing by Changchun. AJ: You started practicing aikido after returning to Japan? Masatake Fujita : Yes, after I went to Tokyo to enter university. Before that I was in Sapporo. I’d always been pretty physically active and used to do things like skiing, ice skating, and swimming. When I left for Tokyo my father told me to call on Ueshiba Sensei. He didn’t tell me I should go practice aikido, he just wanted me to convey his greetings. I arrived in April, which is when the new school year begins in Japan, but as it turned out I needed one more person besides my father to introduce me before I would be able to see O-Sensei. Consequently, it wasn’t until November of that year that I was finally able to meet O-Sensei and convey my father’s greetings. I remember it was a rather cold November day. I introduced myself as the son of Mr. Fujita and apologized for having delayed so long in coming. Until then I’d never really considered taking up aikido myself, and from what my father had told me I imagined it to be something like judo. AJ: What was your impression of Ueshiba Sensei when you first met him? Masatake Fujita : I knew nothing about aikido at the time, but from the moment I saw his face I could tell he wasn’t an ordinary person. I was immediately impressed. It didn’t matter to me then whether he was someone who did martial arts or anything else, I just knew that whatever he was doing there could be no mistake about it, and the very next day I joined the dojo. It was my father who provided my introduction to Ueshiba Sensei, but the decision to start practicing aikido was mine entirely. I could have simply conveyed my father’s greetings and gone home, but for some reason that first encounter with O-Sensei got me thinking, and the very next day I was back asking to be accepted as his student. I hadn’t even seen aikido yet, but one look at O-Sensei’s face as much as made the decision for me, which I think is ather amazing. That sort of thing happens sometimes, and sometimes we’re lucky enough to meet someone like that. AJ: What was it like at the dojo back then? In front of the old Aikikai Hombu Dojo c. 1967. Architectural plan of new Hombu Dojo building seen in background. Many of those people I trained with back then are still active today. Some have even gone on to open their own dojos or lead Aikikai branch dojos. I think it’s important to value and maintain the relationships we form in the course of our training. AJ: You worked for many years in the Aikikai office, but what did you do before that? Masatake Fujita : I spent about seven years working for a government support agency called the Shin Seikatsu Undo Kyokai (New Lifestyles & Athletics Association). It was the type of work that required me to travel a lot, so I always took my keikogi with me wherever I went. The current branch dojo in Hiroshima, for example, began in connection with that, as did the Hiroshima University aikido club. My office was in the Hibiya district of Tokyo, so I helped get together a dojo at the Tokyo Regional Court offices that were in the same neighborhood, and I used to train there during my lunch hour. That dojo is still there, and in fact became one of the first of many others that exist in the various government offices agencies today. AJ: How did you come to start working in the office at the Aikikai? Masatake Fujita : One of my university seniors was handling all the office work there himself, but eventually he left and I took over in 1967 as things started getting busier. It was around the time they were building the new dojo. It wasn’t finished yet, so in the beginning I worked in the old office in the old dojo. After about two years I started to become something like O-Sensei’s secretary. Kisshomaru Sensei became the chairman of the Aikikai Board of Directors around the same time. I accompanied O-Sensei quite often on his Omoto-kyo-related visits. For the last two years before he passed away I was often spending as much as half of every day with O-Sensei. Kisshomaru Sensei sometimes used to tease us by saying, “What, are you two doing something together again?” (laughs). Sometimes I spent so much time with him that I ended up having to neglect the office work. Often when I traveled with O-Sensei the itinerary was the same. Whenever we went to Tanabe in Wakayama, for example, we stayed with Hikitsuchi Sensei in Shingu. I think we went to Tanabe together twice. It was a difficult trip that usually took a whole week. O-Sensei used to walk extremely quickly, using irimi-like body movements to slip through the crowds, so it was always hard to keep up with him. He wasn’t very tall, either, so keeping track of him a crowd could be difficult, especially since I was carrying all the luggage. from his father. In what ways do you think aikido changed during that period? Masatake Fujita : Kisshomaru Sensei was not the kind of person to put himself forward strongly, and I think that was reflected in his approach as Doshu. Mainly he strove to continue his father’s art faithfully, in a quiet, steadfast sort of way, without taking a particularly authoritarian approach in leading the other senior practitioners and teachers. I think that non-imperative approach has been part of the reason aikido has spread as far and wide as it has. In fact, when I was working in the office I don’t think I ever heard Kisshomaru Sensei give me an “order.” Never did he say “Fujita, do such-and-such!” He wasn’t that kind of person. In some ways that actually made it more difficult for me; normally when you work for a company your superiors tell you clearly what you’re supposed to be doing, but at the Aikikai office I had to figure a lot of it out for myself. AJ: It’s been said that Kisshomaru Sensei made considerable efforts to arrange and organize his father’s aikido in order to make it easier to understand. Masatake Fujita : You have to remember that Morihei Ueshiba Sensei hardly ever demonstrated his art for the general public. He might have done so for the benefit of certain specific individuals, but I don’t think it ever even entered his mind to rent a space like the Hibiya Civic Auditorium or the Budokan and give a public demonstration. Kisshomaru Sensei’s thinking, in contrast, was that such public demonstrations would give people of all kinds a chance to see aikido, which he considered necessary if aikido was to spread and grow. Aikido began to change because of that. Back when I joined the dojo you still had to write the names of the people introducing you on a sort of application form, whereas today anyone, foreigners included, can join the Aikikai. AJ: What about changes to aikido on the technical level made during the time? Masatake Fujita : I think that even if you want to copy your teacher’s techniques and be able to reproduce them yourself, it’s not possible to do that with only an hour or two of practice a day. What we have now is not the kind of direct transmission from individual teacher to individual student (isshin denshin) that used to be the norm. That kind of teaching has become impossible given the large numbers of people practicing aikido today. It does at least still exist in aikido, however. I would hope people get at least one thing out of it. If people want to do aikido to keep in good shape, that’s fine. Others are more interested in aikido as a social activity, or they’re interested in the techniques themselves, or in O-Sensei’s philosophy, or whatever. There are even people who don’t train in aikido themselves but simply have an appreciation for it-aikido “fans,” you might say. In this day and age, I think any and all of these are fine reasons to practice aikido. Masatake Fujita : My “theory,” as you call it, involves certain principles of physical bodily movement that I’ve discovered by studying and thinking about O-Sensei’s techniques and movements. These could apply to any martial art, actually, and are not necessarily unique to aikido. To begin with, the primary purpose of body movement is to prevent yourself from being in a position where you can be thrown, hit, or otherwise successfully attacked. One way to do this is of course to duck or move back to escape, but aikido suggests that “entering” or moving in a bit is also good way to avoid being hit; this is the principle of irimi (lit. “entering with the body”). My “theory” is that the three most important elements in accomplishing this entry are 1) posture, 2) body shifting, and 3) technique, in that order. Unlike, say, the horse-riding stances and other stances you find in arts like karate, in aikido we use a posture that is essentially based on hanmi, the so called “half-body” stance. O-Sensei himself referred to this as the “triangular method” or “triangular principle” (sankakuho). I’ve done some research on classical styles of swordsmanship and found that they all used hanmi. Modern kendo has the feet parallel, which I think is a technique that’s been adopted for use in sportive matches, but practitioners of classical traditions tend to keep their feet in a position that resembles the letter “re” in Japanese (like an “L” with the bottom bar bent upwards) and that’s also how we place our feet in aikido, open at about sixty degrees to one another. After posture, then, comes body shifting or movement. These days a lot of people don’t seem to think very much about the importance of things like posture and body shifting, and they want to rush ahead to practice specific techniques like shihonage and so on. Even at Hombu Dojo beginners are often shown a technique like shihonage and told to do it even though they haven’t yet understood proper posture and body shifting. But without first developing posture and body shifting as foundations, students won’t be able to do even the most basic techniques satisfactorily. There are some teachers who say it’s enough if you can “do techniques with ki,” but I don’t think that approach works well for teaching beginners; there has to be a progression up to that level. In terms of body shifting, with entering and withdrawing (taihi), there are exactly six principles. In aikido we don’t practice the latter, withdrawal during training, do we? It’s not that being able to withdraw isn’t important-it can be-but we don’t practice it as part of our training. That’s because the four types of entering body movements that we practice are inherent in aikido techniques. O-Sensei never said specifically that there are four principles, but he demonstrated them clearly in what he did. People who can perform aikido well are those who have gained a command of these four types of body shifting. Some teachers may know about these but not teach them as such, and others may never have thought about them intellectually, but do them unconsciously anyway. In any case, I think teaching them first would give students a better foundation than does simply teaching them techniques, and would allow them to do techniques more safely. In aikido the emphasis is less on “applying techniques” and more on “ensuring that you can keep yourself safe.” Unfortunately, a lot of people seem to have forgotten this and think only of throwing others. With that kind of skewed perception they don’t notice even when their own posture or position is one that puts them in danger. The training methods themselves that we use in aikido make it generally safe, and there are no competitive matches, so people tend to forget the danger inherent in the combative encounters they’re practicing. If you practice these four so that you know and understand them in your body-and not just in your head-you’ll find they’ll serve you well when an opponent suddenly comes to attack. From that point you can use them as a foundation on which to build and apply whatever particular technique is called for. Again, I’d like to emphasize that the foundations of martial arts are in posture, body movement, and technique, in that order, and that specific techniques cannot come alive unless correct posture and body movement have been mastered. It is that initial body movement that avoids or nullifies an opponent’s attack that becomes the essential, life-and-death element that is at the core of every encounter, and if we forget this then it becomes impossible to pursue aikido as a martial art. The body movement used in aikido is summarized in the expression “enter in one step, and apply the principle of circularity.” (irimi issoku, enten no ri). You use your center to enter and displace the opponent’s center as much as possible. This is irimi. So the “Fujita theory” means training in a way that thoroughly explores this use of irimi. AJ: There’s something very fundamental to martial arts in your way of thinking that we should always keep in mind. Masatake Fujita : Yes, and in that respect I don’t think it’s enough to only practice aikido as we have it now. People need to look at and study a variety of martial arts and reflect on why martial arts came about in the first place. After all, even the samurai of old studied the so-called “18 Bugei”** whereas today people practice aikido only an hour or so a day, and that’s not enough for it to really take root and develop. This has nothing to do with whether someone is a professional or an amateur, but rather with whether or not they’re integrating and putting aikido to use in their lives; it has to do with the “intention” behind their training. It makes a difference whether or not a person has this “intention” in mind. **bugei juhappan, a list of “eighteen” martial skills considered essential to a warrior’s training. The specific number and content of these actually varied depending on the region and era, but one typical list included: kyujutsu (archery), bajutsu (horsemanship), sojutsu (spear), kenjutsu (sword), suieijutsu (swimming), battojutsu (sword drawing), naginatajutsu (halberd), juttejutsu (tined truncheon), tantojutsu (dagger), shurikenjutsu (throwing darts), fukumibarijutsu (needle-blowing), hojutsu (gunnery), toritejutsu (ropes and capturing), jujutsu (grappling), bojutsu (staff), kusarigamajutsu (chained sickle), mojirijutsu (barbed-staff sleeve-catcher), and shinobijutsu (spying and stealth). The more peaceful the age, the more effort we have to make to put this kind of thing into our training. These days we have a lot more leeway and combativeness is not so important, so it’s fine if we never actually use the techniques we practice in the dojo. In fact, it would be an unhappy world if we did have to use those techniques on a daily basis, and I’m glad we usually don’t. We’re better off leaving aikido in the realm of what is sometimes called “the use of non-use,” (muyo no yo) at least as far as the actual techniques are concerned. Naturally, of course, this leads to the question, “So for what purpose are we doing this?” I can say that the purpose is not to train people who can strike and throw others and walk around with a chip on their shoulder. But we do want to practice seriously and fiercely, as they did in the old days, and we should avoid laxity or treating our training like a dance. In other words, our aikido practice should be sharp and intense. That’s my view anyway, and that’s how I approach my own practice. During the war years (starting around 1941) there was a martial arts magazine called Shin Budo (New Budo) published by the War Office (Rikugunsho). I obtained copies of all the articles published in that magazine on aikido. In 1942 the editor went out to Iwama to visit O-Sensei, and when I read the resulting article I was more impressed than ever by O-Sensei. By which I mean that by 1942 Ueshiba Sensei was quite well-known among many in the upper echelons of Japanese military circles. They supported him in many ways, including financially, and with all that support he easily could have taken on an arrogant, self-important attitude. But instead he chose to withdraw to Iwama. I think his actions in doing so at that time, during the war, are consistent with the ideas O-Sensei had for his art in the postwar period. Perhaps the most important aspect of that thinking was his understanding of aikido as “a martial art based on shinbu-fusatsu [lit. divine martial, free of killing],” or in other words a martial art free of destruction and killing. There are certainly many people who changed their thinking completely after the war, particularly among political scientists, university professors and the like. A lot of them even shifted all the way from being right-wing nationalists to embracing communism and other leftist doctrines. But O-Sensei wasn’t like that, and his thinking was consistent in being much the same before, during, and after the war. I found that impressive, and I think it’s one of the reasons we still have aikido today. AJ: I understand that while working in the Hombu Dojo office you helped publish a newspaper called the Aikido Shimbun. Masatake Fujita : Yes, Arikawa Sensei had been doing all the work himself and I told him I’d like to help out. At first I did only simple miscellaneous tasks like writing addresses on mailing wrappers, but after a while Arikawa Sensei “suggested” maybe I should write something, and so I started writing articles based on my own views and opinions. My name started showing up a lot in issues from that time on, and if we had extra space to fill I used to write some of the unsigned articles as well. There were even times when Arikawa Sensei was away somewhere and I handled all of the editing and proofreading myself. Sometimes I was really desperate and worked like mad to put everything together and get it out on time. AJ: When O-Sensei talked about aikido he often made references to various gods (kamisama), yet such names hardly ever appear in any of the articles published in the newspaper. Was that an intentional editorial decision? Masatake Fujita : No, there wasn’t any particular decision made to purposely refrain from mentioning the specific names of deities. You have to remember that the names of the Japanese kami are not really “names” in the sense we have today; they are often more like descriptions expressing the kami’s specific qualities or the “roles” they fulfill and what they do and so on. Consequently, they tend to be quite long, and in fact people in the olden days probably never even used such long names in referring to them. Even for something like “Masakatsu Agatsu Katsuhayabi,” in writing in many cases it’s enough to just use the word “kami.” You’ll notice the names of kami never appear in the doka (poems of the way); if they had been included it wouldn’t have been possible to compose a poem! (laughs) However, they are used in the Dobun (Essays on the way). AJ: How did the Dobun come to be written? Masatake Fujita : O-Sensei didn’t actually “write” the Dobun himself; rather, they were based on some of the talks he gave. He didn’t like it if we pointed a microphone at him, so I used to carry around one of those great big old reel-to-reel tape recorders, hidden away of course, and turn it on whenever he was speaking. Arikawa Sensei then took the tapes and arranged and edited them into written form. A lot of what was in the Aikido Shimbun came from those Dobun. I started handling the job of taping O-Sensei’s talks around 1956, after I began spending a lot of time with him. There was an informal group of people that gathered around O-Sensei to hear his lectures on a regular basis. These gatherings were known as “Aiki no Tsudoi” (“The Aiki Talks”) and had been organized mainly by the president of Heibonsha Publishing and his wife. I was told I should attend these meetings and so I always brought the tape recorder. During those talks O-Sensei naturally used the names of the kami quite a bit, which meant that turning the recordings into printed text was always very difficult. I even had to start studying Omoto doctrines and reading up on some of the classical Japanese texts like the Kojiki (Records of Ancient Matters) in order to understand what he was saying. Still, what O-Sensei talked about was quite different from those things, and in some ways only indirectly related. Just understanding the tenets of Omoto or the contents of the Kojiki wouldn’t necessarily give you an understanding of his true meaning. Often he was only borrowing the words used in those as a way of communicating his ideas about aikido, the essence and spirit of which I think can be found crystallized in the Dobun. The Dobun were later collected and published by Kashiwagisha as a book titles Aikido Shinzui (Divine Essence of Aiki). People doing aikido these days don’t read that kind of thing much, so it doesn’t sell well anymore, but I think that book conveys the essence of O-Sensei. There is also Takemusu Aiki, edited by Mr. Takahashi at Byakko Publishing, which is a collection of material that had appeared earlier in a magazine published by the same company. Mr. Takahashi didn’t use a tape recorder, so I think collecting all that information must have been a monumentally difficult task for him. I had known him for a long time through O-Sensei. Before he actually started practicing aikido himself he had been one of the participants in the “Aiki Talks” meetings I mentioned earlier. Some of the material in Takemusu Aiki duplicates that in the Aikido Shinzui, which I compiled, but in any case they both represent O-Sensei’s actual words. You won’t find my name anywhere on the latter work and the Aikikai holds the copyright, but given the work I did on it, it’s a book I feel very strongly about personally. Instructing in Westminster, California in March 2000. AJ: Looking at your aikido career it’s easy to see that you’ve put a lot of energy into teaching aikido abroad, and not only in the major developed nations, but also in many of the smaller ones, for example in some of the Eastern European countries. Do you have any thoughts or anecdotes from those experiences? Masatake Fujita : I started teaching aikido in some of those Eastern European countries even before they began liberalizing and removing restrictions. The current Polish ambassador to Japan, for example, is someone I met in Poland and whom I’ve known for over a decade, from before he was the ambassador. So it’s true, I’ve been supporting the development of aikido in Eastern Europe for about a decade now. I think it would be even better if the Japanese aikido teachers active in Western Europe would do the same-it’s only an hour or two by air for most of them-but, it’s also true that many of them are teaching professionally and have built lives where they are, and the fact that they have to eat and pay their bills means that often they’re not in a position to volunteer their time for free for that sort of thing. In one sense, it’s because I’m still at the Hombu Dojo that I have the leeway to go to countries like that. Financially it’s very difficult to go from Japan to Eastern Europe. Just to pay the travel expenses are equivalent to what three people there might earn in a year. The daily seminar fee there is something equivalent to about 100 Japanese yen (about US$1.10), which to those local people has the same value as about 1000 yen. These financial aspects are something you have to understand when considering how to promote aikido in such places. On the other hand, many people there also have their own fields or gardens where they grow enough vegetables for a year, and many even produce their own stores of ham and sausage and so on. They’re very self-sufficient in that way, so there’s no problem with having enough food. Surprisingly, I think there are probably actually more people wanting to practice aikido in Eastern Europe than there are in Western Europe. 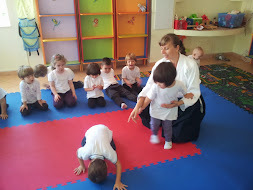 The dojos I saw in Eastern Europe were also completely different. In former communist bloc countries all of the dojos used to be public facilities-there weren’t any private ones-and quite large, too, a minimum of 300 mats and usually more like 500. Some of them were so big that the word “aikido” could be written across the dojo in red tatami mats. When the Communist party finally fell from power, all those dojos became freely usable. They’re very well equipped, too, with showers and saunas and so on. There may not be very much money in those areas, but they do have very nice dojo facilities! When I go to Eastern Europe it’s usually after a seminar series in the Netherlands. In each place I go to, the participants all give me about 3,000 yen each as a seminar fee, and instead of keeping that money I use it to fund travel to Eastern Europe. Given their economic situation, the people in those countries simply can’t afford to pay for my travel expenses, so I have to use tricks like that in order to go there. I don’t take a fee for teaching seminars there, either. I think it would be good if more young Japanese would make efforts to go to countries like that. A lot of them like Poland and Bulgaria have exchange foundations and the like available to fund such travel. That kind of network exists now and people can go there with peace of mind. Now I go to the Ukraine, Rumania, and Bulgaria once a year, and also to Estonia and the other Baltic states. AJ: How about South America? Masatake Fujita : I first started going there after I wrote a letter to Reishin Kawai Sensei about four years ago. In his reply he mentioned the importance of cultivating successors who will be able to carry on aikido there and asked if I would visit occasionally to help with that. They’ve been inviting me back every year since then. South America is even larger than America. 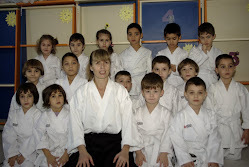 The largest dojo there is in Sao Paulo, which even has room for up to 200 spectators. Some of the people come over 3,000 kilometers by bus from outlying regions, so the dojo is also equipped as a place for them to stay. In that way they have a better system than the Hombu Dojo in Tokyo; I think it would be ideal if the Hombu Dojo had lodging facilities where people coming from all over the world could stay. AJ: Are there any discussions underway to rebuild the Hombu Dojo with that sort of thing in mind? Masatake Fujita : It would be impossible to do on the current site. They just don’t have the space to build such a facility there. The only real option would be to build a second annex dojo somewhere else. A Hombu Dojo with lodging facilities would be wonderful, don’t you think? We really should think about doing that kind of thing. AJ: In an interview in another magazine you talked about O-Sensei as having achieved “muto no kurai” (lit. the level of no sword). Could you talk about that in a little more detail? Aikido is essentially taijutsu, which means “body”-or in other words, “unarmed”-technique. Whether you’re holding a sword or not, your body is still the basis of any movement you make. You can use your body without a sword, but you can’t use a sword without your body. A sword or any other weapon is used as an extension of your body. The reason I used the term muto no kurai-and you see this in the Yagyu Shinkage-ryu as well-is that the goal is to practice very hard and thoroughly to learn how to use the sword, so well in fact that in the end you don’t have to use it. In contrast, if you do actually use the sword, then no matter how high the level of pure martial skill involved, it is still nothing but fighting and killing. Cutting people down. So the expression “muto no kurai” describes a master martial artist who has chosen not to use the sword, and who has the ability to not use it. Aikido, in my view, is a martial art that starts from that point, from that level at which the sword can be used but no longer is used. It’s because it starts at that level that aikido can be so difficult to do well. For a beginner to start from the level of muto no kurai is an extremely difficult thing to do. AJ: The founder himself began practicing the sword of the Kashima Shinto-ryu around 1937, and also studied the sword in various ways in Iwama after the war. How does that fit into the equation? Masatake Fujita : O-Sensei was passionate about studying all kinds of things, other martial arts included, in his efforts to elevate aikido and perfect it as a martial art. Iwama, with its open fields and private spaces, provided an ideal place for him to do that. He studied such things on his own, for his own purposes, so he left us no particular style (ryuha) of spearsmanship or swordsmanship bearing his name. He practiced such things because he thought they would benefit aikido, but he didn’t teach them to people. In fact, he almost never let us train with weapons. While he was in Iwama, however, he naturally needed a training partner for his weapons practice, and that was [Morihiro] Saito Sensei. Saito Sensei wanted to preserve the research O-Sensei was doing during those training sessions, so he has organized them on his own and still practices them. But O-Sensei never talked about 31-no-jo (31-step jo kata) or anything like that. Koichi Tohei Sensei, too, does a kata with a dozen or so moves in it, and Nishio Sensei has his variety of sword training as well. These are things that these various teachers are doing themselves, on their own. But in O-Sensei’s way of thinking-and this has been true since around 1942-there are no weapons used in aikido. In an emergency situation one might use whatever happens to be around, but other than that, weapons aren’t part of aikido philosophy or practice. AJ: Has the theory of body movement you were talking about earlier been influenced by any other martial art? Masatake Fujita : Yes, I’ve been studying other things, so inevitably I’ve come to see certain similarities and commonalities between them and aikido. In all martial arts, for example, you have the idea of not allowing an attacking opponent to strike you. I went to college at Takushoku University, and karate, judo, sumo, and kendo were all part of the regular curriculum. As part of my university class work I learned karate from the late Masatoshi Nakayama Sensei, and I also studied judo under Masahiko Kimura. All in all I’ve been very fortunate to have had such a good martial art training environment. I’m still studying various aspects of martial arts on my own. Just a few weeks ago, for example, I attended a large kobudo (classical martial art) demonstration that lasted from 10:30 in the morning until about 4:00 in the afternoon, and I watched the whole program very closely, from beginning to end. There are so many insights or “hints” to be found in that sort of thing, not only in the jujutsu demonstrations but in the various kenjutsu (swordsmanship) and other demonstrations as well. Whether or not I can make use of-or even see-those hints is a different matter, and since I can’t always do so, I feel a need to keep on studying. A lot of people outside Japan seem to think that most Japanese people must have studied some kind of martial art, but actually most of them haven’t. It’s unfortunate, really, and I’d very much like to see more Japanese take up martial arts. It doesn’t necessarily have to be aikido, but something. How can we get them to do this? I think the private dojo (machi dojo) you find in most towns and cities probably don’t have the capacity or the organization to stimulate interest on a large scale, so I think it would be better to do it via the education system, by integrating martial arts into school curriculums. I’ve been voicing this idea repeatedly to the Nihon Budo Kyogikai (Japan Budo Council), of which I’m a board member. I think this would be one of the best ways to reform the way Japanese martial arts are taught. Unfortunately, there are so few qualified teachers. Also, if even basic things are taught differently by different teachers, as is the case with aikido, then I think the Ministry of Education would probably balk at introducing it to schools. For that reason, teachers who give a lot of play to their individual teaching styles wouldn’t be so well suited to teaching aikido in schools (although they might be good in the dojo). In a school setting, basic things all have to be taught in a similar way to a certain extent, so that no matter who teaches them the results are the same. That’s not all there is to education, but it’s at least one important aspect of it. I would say that one of the things most lacking these days, not just in aikido but in martial arts in general, is a sense of “education.” One important theme from now on will be finding ways to have people come to understand and practice martial arts as correctly as possible. Martial arts practitioners tend not to think about this kind of thing very much and focus only on their own practice. I don’t think this attitude is right for this day and age and I’d like to see some change there.